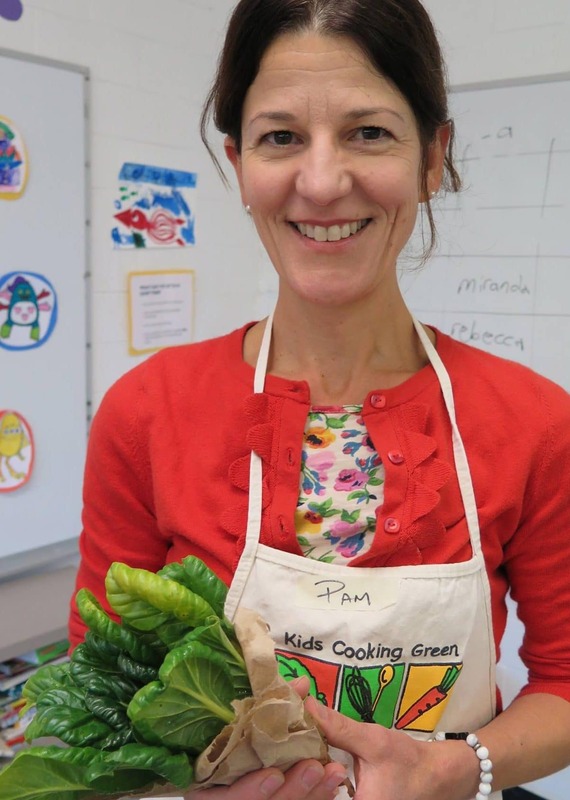 Pam began assisting with the Kid’s Cooking Green Program the summer of 2012 at the Lexington Farmer’s Market. Since then she has provided Nutrition Education for KCG. Eating fresh, local and organic foods has been a priority for Pam and herfamily, they have been long time members of a Community Supported Agriculture (CSA). Pam also enjoys sharing her love of yoga with youth and offers yoga classes through the Acton Public Schools and a Wellness Center. As a Registered Dietitian and Registered Yoga Teacher, she integrates the two practices to offer health and wellness programs at Emerson Hospital, Thoreau Health and Fitness Club and Be Well and Beyond Wellness Center. She currently is a Nutrition coach for the Commit to Get Fit Program, a 90-day wellness program.